To assist those looking at our woodfuel ideas, I have constructed this page to view our current position and resources. The project was expensive to develop and required help from funding agencies to initiate. I, for my part (Alan Parker) applied for, and received, funding through the A.B.D.s scheme to construct a self catering unit. This has given me the chance to use this funding to proceed with woodchip for water and central heating. Subsequently, I have constructed a district heating system to fuel other properties at the same location. 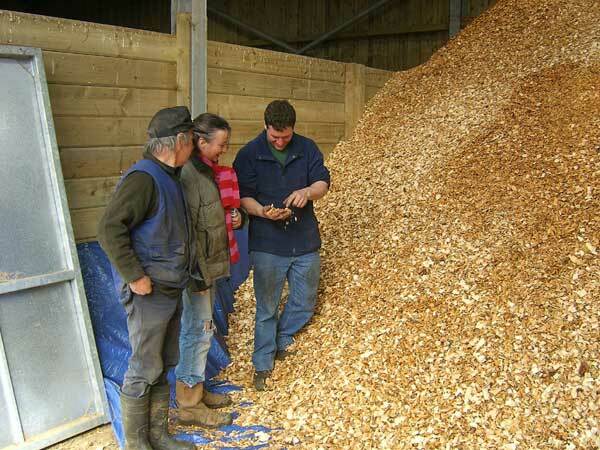 Robin sedgewick of Crannich Farm brought forward a plan to construct a combined domestic and commercial heating plant for his own development and also to be the woodchip producer. Both parties have combined resources to drive the woodchip group forward. Behind these individuals are a group of about 8 others who have committed to install woodchip now that the supply chain has been firmly established. 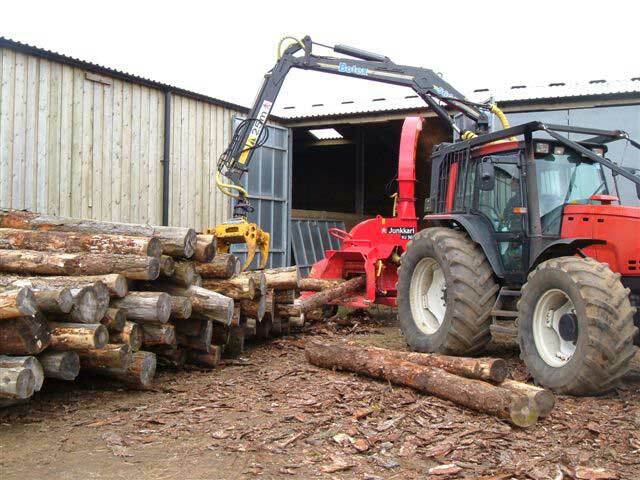 Why timber fuel is important? 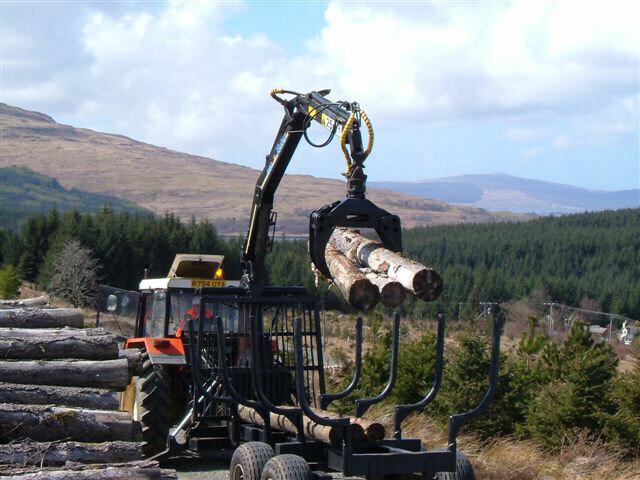 The rationale for woodchip on Mull is unquestioned because of our huge biomass supply in the forests. The economics of taking the timber ‘off island’ are very ‘shaky’ as it involves an expensive ferry crossing, fuel costs and large distances on single track roads. If the cost of road repair and a true cost of forestation was considered, the result would be a massive loss! This may now change with the construction of a purpose built pier for timber ships. However, forestry is vital to the eco system of the world and Mull. Trees filter out and use CO2, not to mention create habitat and stop erosion. How can we economically use this resource to reduce Carbon emissions and manage the forest? Low value timber products may easily be converted into the valuable heating product of wood chip fuel. This requires the low tech. processes of air drying (leaving the timber stacked for a number of months in the open air) to a suitable moisture content and there-after chipping to a suitable particle size. Woodfuel is said to be ‘Carbon Neutral’ as even though burning wood produces CO2, creating the forest and managing the forest, soaks it back up again. However, in burning wood fuel, you are only using minimal electricity for control systems and diesel in transport. The cost of installing any of the ‘alternative energy’ heating options such as heat pumps, ground absorbsion or solar panels is not cheap. Woodchip is no exception. 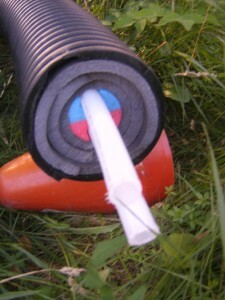 The burden of costs of installation is normally cushioned by grants. In our case, we have received a 50% grant towards the total cost. Without the grant, ‘payback time’ is probably beyond most people’s expectations, however, in Scotland the signs are that support is liable to get better, and the Scottish Executive have ‘ring fenced’ several million pounds towards bio fuel. THE TIME IS RIGHT TO INVEST. calculations are that in larger units, woodchip is about half the cost of oil. These calculations are now two years old. I am keeping records of my own fuel consumption and will give my costings public viewing after one year. Even if the cost was the same as oil I firmly believe that woodchip is worth doing on the grounds of global warming and positive effects on the local economy. Also, living on an island, I am a little more in control of my own energy consumption and not dependent on expensive delivery systems. 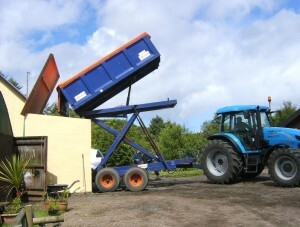 Woodchip boilers are not suited to small buildings with limited access to delivery vehicles. Also, the basic rule is: The bigger the usage of hot water for heating and domestic use, the bigger the saving. Ideal installations to get the most benefit are: Swimming pools, facilities with public showers etc like campsites, distilleries, large houses, particularly those that are older and difficult to heat, housing schemes served by a common boiler, etc etc. Bigger the better! Stands for renewable heat incentive and is a payment made at the moment to commercial users of woodfuel. The boilers have to be new and carefully metered in order to comply. A payment of about 3p per K.W. above the cost of the chip is made. This is instead of a grant and has a better long term payback. The incentive seems to be working and the decision to move to woodfuel by businesses is starting to work. We now have 6 medium sized boilers and two large scale boilers at the Biscuit factory and the new Primary Care Centre. Two of the medium sized boilers run district heating systems. One at Treshnish Farm and the other at Accommodation Tobermory.